INDIA. Mumbai. 2006. 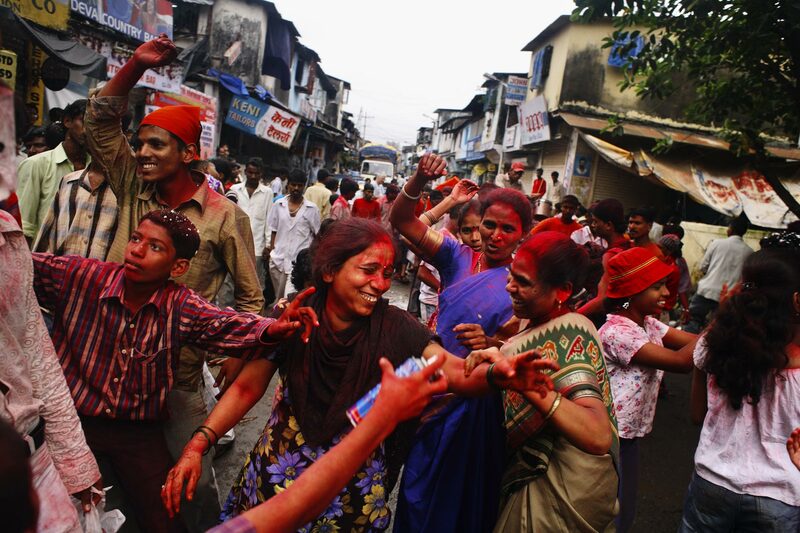 During the festival of Ganpati, revelers dancing and throwing colored powders as they move with their Ganesh idols.